Falling in love with the De Havilland Mosquito is so easy. Anyone who has seen this British-designed WW2 aircraft for the first time would be struck by her beautiful sweet lines. But beyond her looks, undoubtedly the ‘Mossie’ was fast and deadly. 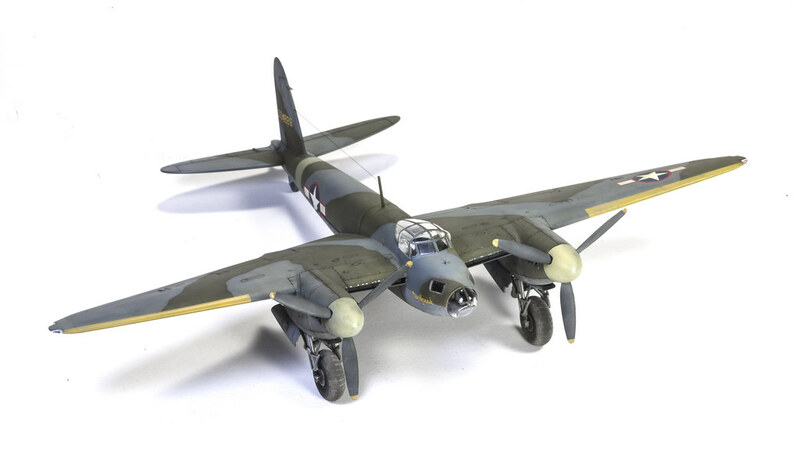 With twin Rolls-Royce Merlin engines, the Mosquito was as fast as a fighter and could carry the payload of a medium bomber. The Mosquito amazed friends and foes. The Mosquito had some other affectionate nicknames like Wooden Wonder, Freeman’s Folly, Tsetse, and Balsa Bomber. online articles . The aircraft has been subjected to several movies like 663 Squadron and Mosquito Squadron. You will never be short of finding references of this famous aircraft. The all-wooden aircraft was developed into a bomber, fighter-bomber, photo-recon, and night-fighter variants. A total of 7781 Mosquitos were built, with some made under-licensed in Canada and Australia. The Tamiya kit No.60753 is nothing less amazing. Despite its tiny scale, the kit is beautifully molded, has lovely exterior surface, and nicely detailed cockpit. 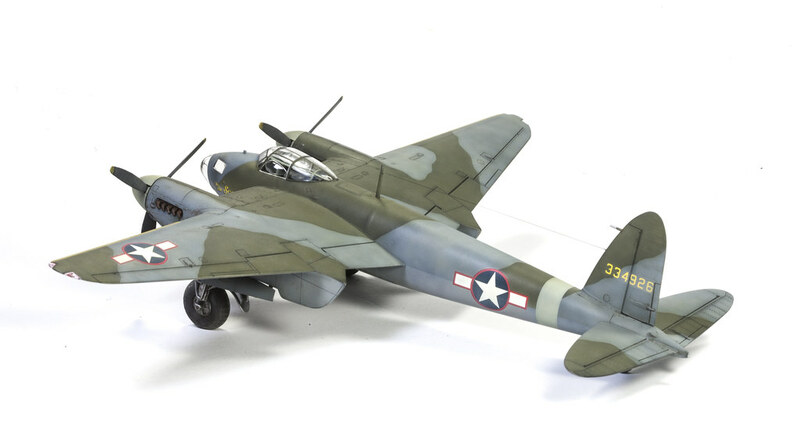 The basic kit allows you to build a bomber, photo-recon, or a night-fighter variants. Keep it or selling? The demon raging inside me. I bought this kit more than a decade ago on a huge discount. There was a local toy store back then and it was closing its doors permanently. There were few boxes of models left on the shelves, mostly Tamiya and Italeri. I remembered I took home two Tamiya 1/72 mosquitos and one Tamiya 1/48 P-51 Mustang. I never liked doing British aircraft. The hard-edge camouflaged kinda turned me off. All that masking and re-masking. It looks daunting and such a tedious job. I wanted anything but British warplanes. I never saw the box again until last year when I was cleaning my stash to make room for 1/48 kits. At first I wanted to sell it, but then again I felt so sad letting it go. The best of me decided to make into a kit. And that’s how it ended up being built! When I opened the box, I saw the decal sheet in such a sad state. The image of the decal here clearly gives you an idea that I needed a replacement set. With the kit’s decals, the kit gave me options to make three aircraft. The first option is a bomber, the second is a night-fighter, and the third is a photo-recon. But looking at the poor condition of the sheet, they are all out of the question. Instead, I went browsing and found a pretty good replacement from Xtradecals. Since these aftermarket decals cost a lot of money, it was important for me that I chose a sheet that would also provide options for the other 1/72 Tamiya Mosquito kit (an F.B. VI) that I own. The Xtradecal sheet was worth every penny. They were very generous. In one sheet I think they packed in six to seven decals options to build. The instruction sheet was in color, plus they included a bit of background for each of the aircraft. My standard has just gone up. From now on, I know I can’t get anything less than that! From all the choices available, I decided I would make use of the decal that represent a Mosquito under USAAF management. I saw an image of the aircraft “The Spook”in a aircraft book many years ago, and I was delighted that this sheet has the aircraft mentioned. So I thought that I might just do it. The Mosquito under the Americans were brief. This particular aircraft was classified it as an F-8 Photo-recon by the USAAF and it operated in and around the Mediterranean theater. A bit more reading about The Spook here. While you’re at it, take a look at some very interesting images of Mossies under USAAF here. Being a 1/72 scale first and Tamiya kit second, I had high hopes that I would complete the kit without much fuss. Tamiya had simplified the kit, while maintaining a good level of detail. That served two purposes: (a) part count should be low, and (b) less work on prepping up the kit. I worked in sub-assemblies to speed up construction. The first thing I did was to assemble the kit as sub-assemblies. I aimed at working on the big items like wings, engine nacelles, fuselage halves; and small ones too like the cockpit, wheels, and landing gears. One thing that took me by surprise at this early stage was when I prepared the cockpit area. The cockpit interior had 17 injection sink marks! (Now I know where Tamiya hid them). I knew that the sink marks would be well hidden after the fuselage came together but regardless, I decided to fill them as best as I could. At first, I tried regular putty and it didn’t work. Then I used Mr. Dissolved Putty in the hopes that it would perform better. I think in someway, Mr. Dissolved putty did its job; however, I had to wait for days because the putty cures very slowly. I don’t remember how I came around to using Mr. Dissolved putty. But one thing I remembered was that I was looking for a solution to fill in the seam lines, injection pin marks and so forth that are located in small confined area. This 1/72 scale model is a perfect example . In the past I have used regular putty, epoxy putty, or Mr. Surfacer but I had found that sanding them in relatively confined spaces was quite difficult. As for my first experiment, I used Mr. Dissolved Putty to fix a seam line inside the wheel bay. It took a while to cure but i found the hardened putty easy to wet-sand. I became rather impatient with Mr. Dissolved Putty. Further during the construction phase, I shelved the bottle and came back to use Mr. Surfacer. Once filling and sanding completed, I started to paint the interiors of the wheel bays and cockpit using Humbrol No.78 interior green. Being at this scale, surface detail were simplified but it sufficiently served its purpose. I added my own detailing for the pilot and navigator seats with tamiya masking tape to resemble seat belts. I paint-brushed the instrument panel, radios, and all the of raised details according to the instruction sheet and did some dry brushing and light washing with Tamiya Panel Line Accent (TPLA) to bring out contrast. Even with all this , I don’t think that any of this is visible once the fuselage halves are glued together. Not much is going to be seen once the fuselage halves are glued together. As I waited for the paint to dry, I worked on the landing gears. The main undercarriage, wheel hub, and tail wheel were given Alclad ALC101 Aluminum. The ALC101 is lacquer based, so it should be safe for enamel-based washing. The struts came with the distinctive mud guards. One note about them was that per instruction, they asked me to install it along with the wheels. In practice, I don’t think that would work. I decided to leave the mudguards off until later in the construction. I also thought that this would make sense because it wouldn’t interfere with the painting of the wheels. As a consequence, I would have to use a fine brush to touch-up any loss paint because of the extra gluing. I left the mudguards off for later to make painting easier. Before installing the wheels on the struts, I sprayed them with Tamiya XF-85 Rubber Black. But prior to painting them, I sawed-off 0.5mm on each ends so when you put the model down, the wheels look “weighted”. The next sequence included assembling the main wing, engine nacelles, bay doors, clear parts, and horizontal stabilizers onto the fuselage. My go-to adhesive is Tamiya Extra Thin Cement. They work like magic because I could align the parts while I add a bit of the cement between the joints. It uses capillary action to flow through the joints and leaves very little I used a clamp to keep the parts in place while the cement cures. 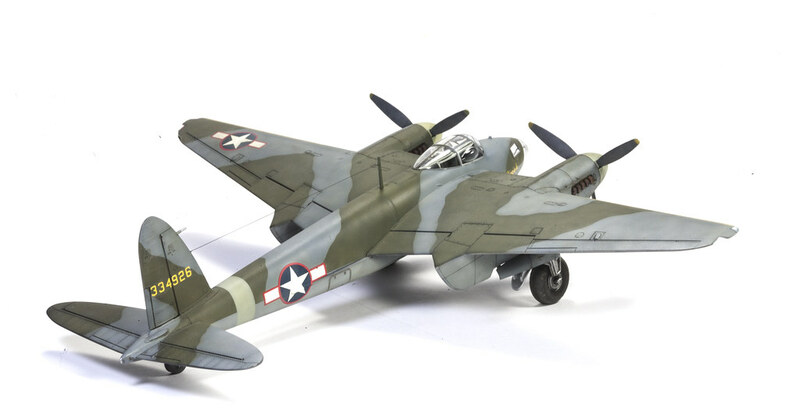 The kit was designed with alignment bars to make it easier for modelers to install the wings. The fit was almost perfect with a few places that needed extra fillers, notably the nacelle tail fairing. I treated smaller gaps that I could safely sand with Mr. Dissolved Putty. But for other small gaps near hard-to-reach joints or areas bit dicey to sand, I used Mr Surfacer 500. Once cured, I easily cleaned the excess using acetone (that came as a nail polish remover). I wiped the excess using cotton swab dipped in nail polish remover. The results speaks for itself. With this approach, I could fill gaps without any loss of delicate surface details. The series of images above show the how I sealed the gaps using nail polish remover. I recommend to swipe the cotton bud in a quick sweeping motion. The action will deny the liquid to pool too long on the plastic. If that happens, the acetone might leave a mark on your plastic. Time to masked all the clear parts. I used Tamiya masking tape for the nose glaze, cockpit canopy, and some of the smaller rectangular-shaped windows. I covered the round-shaped peeping holes masking tape too but I was not satisfied. I then gave them a coat of Mr. Marking Sol R. To protect openings (i.e. wheel bay doors) from over spray, I stuff them old pieces of dishwasher sponge. The black surface area that you see on the images above are black-colored primer from Mr. Surfacer 1500. The reason you saw this is because at the same time, I was priming the model with the sole intention to look for surface imperfection, which could be the result of bad sanding, improper gluing, unfinished filling. Fill it with Tamiya regular putty, and topped off with CA glue. As soon as I was done with the masking, I quickly observed the model to find any flawed surface areas. I noticed that there were still some err. You can see here that there are indentations on the rear end of the engine nacelles. They look fine before, but after priming, I noticed that it needs to be properly filled and sanded. As I mentioned earlier, I left the kit on the shelf for a decade and they went yellow. I didn’t want to risk ruining the model so I bought Xtradecal sheet No.X72232. 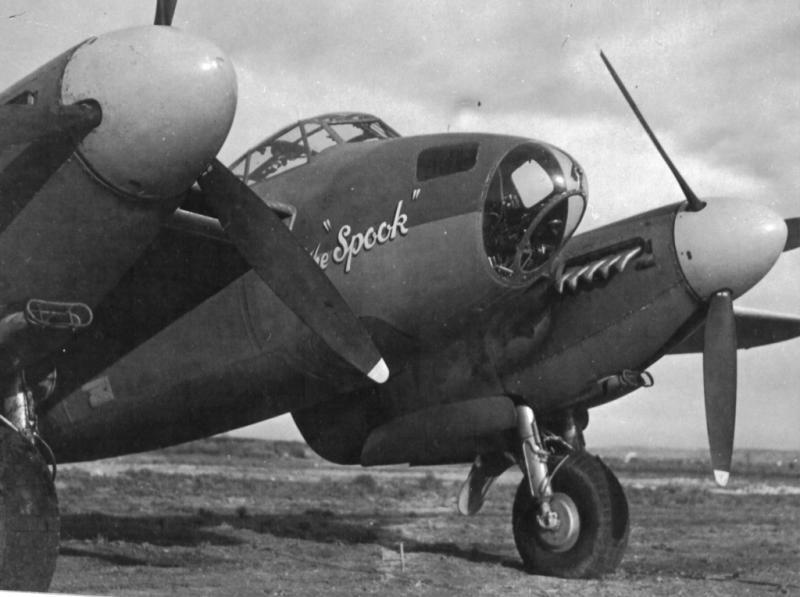 The chosen “The Spook” was a USAAF Mosquito F-8 photo-recon variant. The F-8 was a converted Canadian-built Mosquito B Mk IV bomber but without the port side camera window of the PR Mk IV photo-recon. USAAF Mossies were painted like the RAF versions. The model was given a good coat of black-colored primer from Mr. Sufacer Black 1500. This will be the basis of my black-basing technique, which you can read all about at Doogsmodels here. The first paint that came up was Tamiya acrylic XF-83 Medium Sea Grey (RAF) for the underside. Using my Badger Sotar 20/20, I mixed the paint with Mr. Leveling Thinner and small drop of Tamiya Retarder to improve the flow. With the black-basing technique, painting is done by spraying light layers of paint. At first it looks ugly, but after a while, the paint will build up on its own. Once the lower half is completed, I moved my focus on to the upper area. For this to happen, I have to mask the lower area. Here is how the masking process looked like. Placed the masking tape on the model. Observed the painting guide and using a pencil I carefully drew the outline of the camouflage on the masking tape. Peeled off the tape and placed it on my cutting pad. Trimmed the penciled outline using a sharp No.11 surgical knife. Returned the trimmed masking tape onto the model. Once I was satisfied, I added tonal variation to the basic color. Using very diluted mix, I resprayed the areas again but this time adding a drop of XF-19 Sky Grey into each of the colors. I sprayed the mix in very thin layers and continued to do so until I got the look that I wanted. Paint work now shifted to the smaller pieces. There were a lot of planning and masking involved. Staging the masking and painting sequence were equally important. The whole process was slow and tedious but I preferred it that way. It gave me more control and less chance of me making unnecessary bloopers. If I could prevent it, why not? The sky band and spinners were XF-21 Sky. Thy sky band came as part of the decal sheet but I prefer painting them. The propellers were XF- 69 Nato Black and the tips were XF-3 Flat Yellow, the same color I used for the wings’ leading edges. While the exhaust stubs were brush painted XF-10 Flat Brown. When you are doing any kind of modeling project, its always great to have some access to references. It’s not going to make you a historian, but the reference will at least give you an idea what does the finished model looks like. As a famous WW2 aircraft, you can find an abundant of materials on the Mosquito in print or digital format. This is when I applied the decals. Contrary to tradition, I almost never gloss coat my models especially my recent builds. Keeping the paint surface clean, flat and smooth is enough for decals to adhere. Plus, I have my Mr. Mark Softer and Mr. Mark Setter to help improve their grip. Besides, not glossing means I am taking away one step from my routine and saving time. The decals from the Xtradecal sheet was just gorgeous. It was thin, in-register, reacted well with Mr. Mark Setter and adhered perfectly onto the surface. I did have a small incident, though. I didn’t know how long it took for the decals to slide off so I left one submerged for about 8 minutes. When I fished out the decals, it was already disintegrating. I did, however, managed to put everything back again. Learning for that incident, I kept all the remaining decals inside the water less than 2 minutes. It was enough to slide the decals off the back paper. For the washing session, my go-to materials have been Tamiya PLA and AMMO MIG PLA products. I used colors from the A.MIG.7419 US Navy Grey Jet set to wash the panel lines, randomly picking lines and applying different shades of grey with a fine pointed brush. For the weathering, I used the same set plus A.MIG.1621 Shadow for Desert Brown and A.MIG.1618 Deep Brown PLW to make replicate grime, soot, oil, and other stain marks. Sometimes the product feels too thick. If that is the case, then all you need is to add a bit of enamel thinner. Use a tin cup to pour in a bit of the AMMO MIG product and a few drops of enamel thinners. Check whether the mix works, if not you can always add some more of the former or latter. These products are enamel based and are relatively tolerant to non-branded thinners. I have a bottle of Tamiya Enamel Thinner, a can of Zippo Lighter Fluid, and ACE white spirit. All three works well with AMMO MIG panel line washes. To further enrich the camouflage paint, I shifted the colors a bit, spraying small amount of diluted X-24 Yellow and X-26 Orange onto certain parts of the model. When I attempt to do some weathering, I try to think creatively on how to achieve the effects. A good start is by getting some reference photos of the actual aircraft and then work backwards on how I want to achieve it. Take a look at the examples here (there are plenty more on the Internet!). The tool of choice is not always a brush. Depending on what weathering effect I want to replicate. For example, creating oil splatter, exhaust stains, or paint chipping, I can find useful items like sponges, paper towels, and toothpicks that would help complete the weathering. If I feel that the black-and-white photos are less helpful, I can always look for colored photographs of other aircraft types to give me some general ideas of an oil leak or chipped paint on aircraft. Irregular coats of flat black were sprayed for the exhaust stains and enhanced it with AMMO MIG A.MIG.3001 Black pigments. I used bottles from A.MIG.7403 Rusty Vehicle set to vary the colors on the exhaust stacks. As for the aircraft’s metal parts, some them were given light chipping using a old sponge and Mr. Color No.8 Silver. I then made oil stains by streaking pigments from Tamiya Weathering Master Set D and dusted the wheels brushing A.MIG.3004 Europe Earth pigments. Painting and adding the navigation lights were a bit tricky: they are clear from the outside but red and blue from the inside. I painted the inner side the clear plastic red and blue, respectively, and once dry I installed them onto the wing tips with a small drop of Tamiya extra cement. Last but not least, I made an aerial antenna out of heated stretched sprue. There were a couple of times when I regretted that I should have done things differently, but all in all it was a great small project of a very famous aircraft! Not much bigger than a Texas mosquito I daresay, but I wouldn’t swat it…. LOL. Excellent text and pictures too.